Last summer I met this lovely Bride-to-Be while doing her makeup and hair for another wedding. 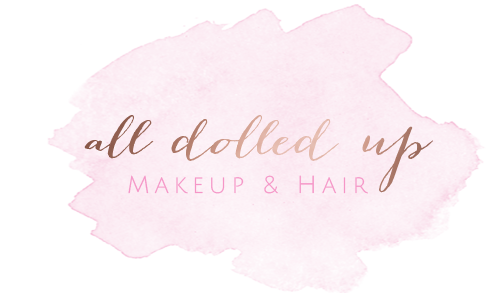 I was so excited to hear about her own nuptials and delighted that she would like the team at All Dolled Up Studio to help her and her bridal party get picture perfect for her own wedding day coming up on May 19th. Diana decided to hold her trial on the same date as her engagement session. This is an excellent way for Brides to see how they will look in pictures on their actual wedding day. 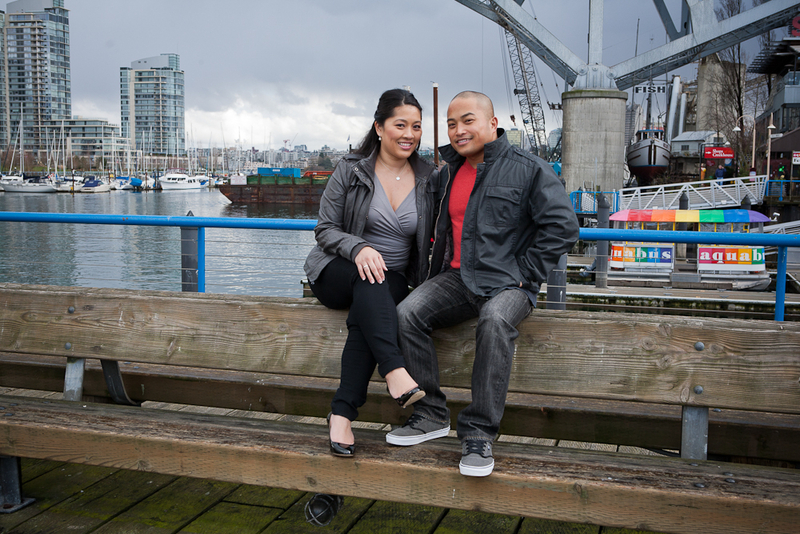 These adorable pictures were taken at Granville Island. 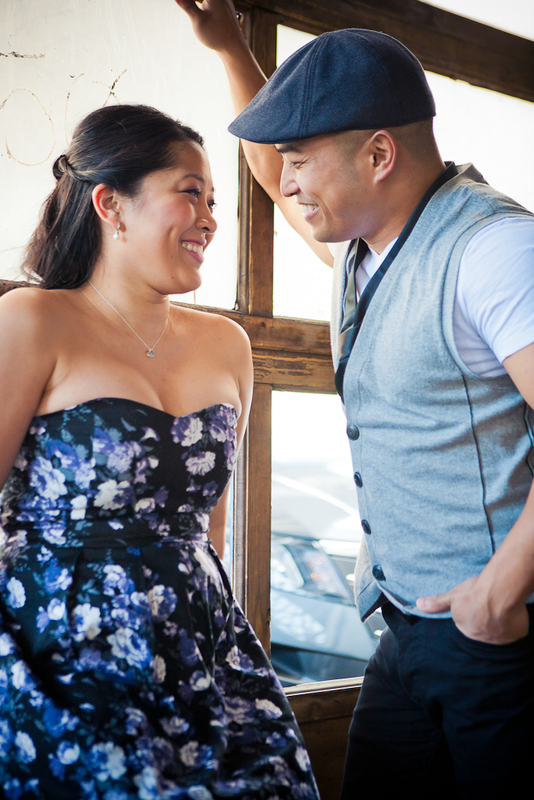 They’re bright, colourful and super fun…such a perfect location for this cute couple. I can’t wait to see her “all dolled up” on her wedding day, but here’s a sneak peek of Diana before she takes the plunge.